Megan Jaynes is an experienced CPA that guides B2 clients in a thorough understanding of their financial position and addresses complex accounting issues. 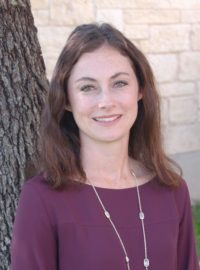 Megan practiced public accounting for eight years at PricewaterhouseCoopers LLP as a manager in the Audit division and worked with a diverse range of clients, including both public and non-public companies. She has extensive experience in financial statement preparation and analysis as well as application of accounting principles. Megan’s knowledge and analytical skills are used to help clients in forecasting, budgeting and maximizing financial efficiencies to help grow their business. Megan earned her Bachelor degree in Business Administration with Honors and her Master’s degree in Finance from Texas A&M University. She is a licensed CPA in the state of Texas. Megan is active in the community and has served on various executive committees at her children’s schools and her church. 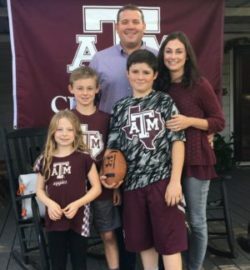 In her free time, Megan enjoys traveling with her husband, watching their kids play sports, spending time at the lake and attending Aggie athletic events. B2 Management & Consulting is not a CPA firm.